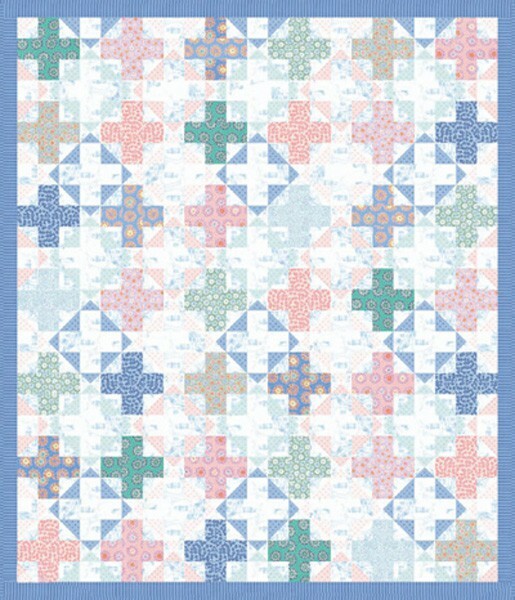 This free quilt pattern was designed to showcase the Cape Ann fabric collection by Oliver + S for Moda. It looks complicated, but it's actually deceptively easy to make. Half square triangles and quarter square triangles comprise most of the piecing for this quilt. Piece carefully, and you'll have the quilt done in no time. See the last page of the free, downloadable PDF quilt pattern file for fabric requirements.